A ProcessFlows Business SMS Solution at Signpost Housing Association is helping managers to supervise their field resources more efficiently. 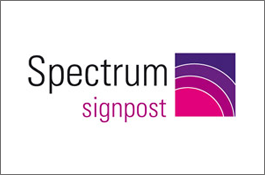 Now part of Spectrum Housing Group, Signpost is a Housing Association based in Blandford Forum, Dorset. The organisation was established in 1990 under the name of North Dorset Housing Association. It was set up to undertake the development and management of affordable housing initially throughout the North Dorset area. The primary objective of the Housing Association was to purchase the Council’s housing stock and manage it professionally and attentively, to ensure that residents in the region could enjoy excellent standards of housing management and benefit from additional affordable housing. Signpost is committed to providing good service. Their customer care charter clearly states that ‘the customer comes first’ and sets out guidelines on how staff are required to deal with queries from members of the public. Also included are tips on how customers can help Signpost to resolve their issues. Good communication is therefore essential. A large part of a Housing Association’s responsibility is the day-to-day maintenance and upkeep of properties. A mobile team of 250 specialist trade people are employed and managed by Signpost Services. Signpost identified a need for a suitable and effective means to track and communicate with maintenance teams. Information on everything from job updates to MOT reminders, needed to be communicated to these employees. They do not have access to computers, instead they all are issued with a mobile phone, but making calls to mobile phones is expensive, plus voicemail inboxes are easily filled up, so messages were often not able to be left. Texting was an obvious choice for Signpost as it is simple and cost effective. Texts were already being sent by members of the office-based services team on an individual one-off basis, but this was time consuming and provided no record of conversation. An SMS solution which would enable texts to be sent from the desktop, to field based teams within seconds, whilst providing an audit trail, would solve the problem. ProcessFlows provided Signpost with a fully-featured two-way Business SMS Solution. Text messages can be created, sent and received from within any email client and third party software such as CRM, ERP and Web, with enterprise reports and developers tool kits. The text solution gained momentum and is now used extensively by the joint repairs team. Charlotte Notley (Opti-Time Planner) says, “Using the solution allows our operatives to efficiently report start and completion times on all jobs that coincide with our tracking system. This is a great and simple way of keeping in touch.”. Repair team members notify the office by text when they commence and complete a task at the specified location. This simple method of time management gives office based managers an accurate picture of where resources are deployed and which team is available soonest to respond to another call. Text messaging means that Signpost has been able to reduce operating costs by removing a lot of the consumables and costs associated with communication – such as paper and postage and calls to mobile phones. An unexpected use and benefit of the text solution is as an emergency notification method. Signpost use this facility to notify IT support if there is a power failure and the Uninterruptible Power Supply switches to battery. Texting will continue to grow within Signpost. The Association is looking to implement texting in customer services. Residents will be able to text Signpost with queries or requests and notification of scheduled repairs and information updates will be delivered directly to their mobile phones.